Are you looking for an opportunity to apply for an internship in your desired industry? Are you interested in learning more about a career in finance, medicine, art and design, law or media but don’t know where to start? Do you want to build your professional network and improve your future employability? Are you interested in working with successful individuals from a similar background who have been through the path you are on today? 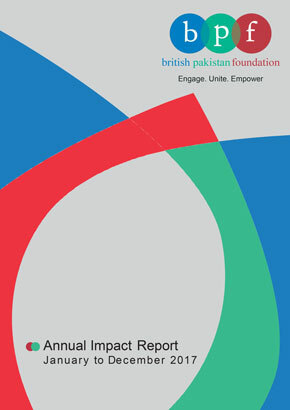 The Young Professionals Programme (YPP) empowers talented students and graduates through exclusive career-building opportunities, mentoring, workshops with industry leaders from within the British Pakistani community, and celebrate UK-Pakistani cultural events with university PakSocs on campuses across Britain. By joining the Young Professionals Programme you are enlisted with us as a candidate who is looking for an internship, job opportunity or mentoring. This means that you have free access to all our monthly Business and Professionals, and Women’s Networking events in London, where you will be able to meet your desired industry’s top leaders and mentors. You can also attend any of our Business and Professionals Programme and Women’s Programme workshops, seminars, and career-building panel talks for free; just bring your student ID. Through our monthly newsletter and BPF website, you will also receive updates of what’s going on and where. If you successfully enrol in a mentoring programme or secure an internship or job through the Young Professionals Programme, our only request is to stay in touch with us, become a BPF lifelong member by paying a small annual fee of £10 to cover our costs, and let us know how you are doing! We will ask you to complete a survey on how you feel the YPP has helped to achieve your career goals. BPF connects our Business and Professionals Programme with talented young professionals like you to help get a foot in the door and succeed, so that you become leaders of the future in Britain and are able to give back to the community personally and professionally, the way we are trying to do today. Can’t find what you’re looking for? Maybe one of our partners can help! The organizations listed below support students looking for work placements, internships, mentoring and skills-building schemes in their desired industry. If you would like more information, click on any of the links below, or contact the BPF office at: info@bpfuk.org to request more information.